Scotland is set for a bumper year at the Toronto International Film Festival (TIFF), 2013 as four Scottish films receive premieres within the first few days. Widely recognised as the most important film festival after Cannes, the 38th annual Toronto International Film Festival takes place from 5 -15 September. Scottish director David Mackenzie’s Starred Up, Jonathan Teplitzky’s The Railway Man which filmed key scenes on location in Scotland and Dexter Fletcher’s Sunshine on Leith which filmed in Glasgow and Edinburgh will all have World premieres. 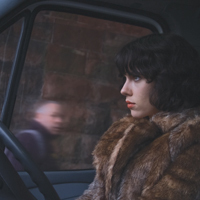 Meanwhile, Jonathan Glazer’s hotly anticipated Under the Skin, which filmed entirely on location in Scotland and stars BAFTA winner Scarlett Johansson, is set to receive its North American premiere, immediately following its World premiere at the Venice Film Festival. TIFF draws attention to and raises the profile of films with the aim of contributing towards the development of cinema, boosting the film industry worldwide and celebrating cinema at an international level. In 2012, 372 films from 72 countries were screened in Toronto venues, welcoming an estimated 400,000 attendees, over 4,000 of whom were industry professionals. Jonathan Glazer’s Under the Skin starring Scarlett Johannson as a voracious alien seductress who scours remote highways and backroads for human prey, shot entirely on location in Scotland for eight weeks during 2011. Key locations included a forest in Argyll, the private Black Mount Estate, Auchmithie beach and Tantallon Castle. In April 2012 Colin Firth, Nicole Kidman, Jeremy Irvine and Stellan Skarsgard arrived for the filming of Jonathan Teplitzky’s The Railway Man – the true story of Eric Lomax, a British soldier in World War II who endured gruelling conditions as a forced labourer on the Thailand "death railway" after being captured by Japanese troops. The production spent four weeks filming in Scotland in a variety of locations including Bo’ness & Kinneil Railway Station, Perth Train Station, Berwick-upon-Tweed, the principal house on the beach at North Berwick and St Monans Church on the Fife coast. Dexter Fletcher’s Sunshine on Leith shot for six weeks in late 2012 in Edinburgh and Glasgow. The Kelvingrove Museum, Glasgow, the Scottish National Galleries in Edinburgh and the Shore in Leith feature prominently in the film. 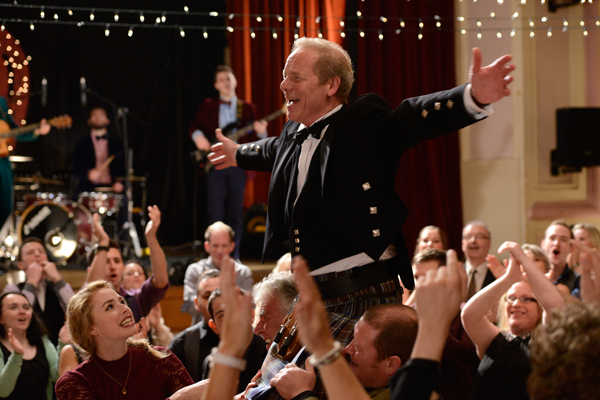 Starring Peter Mullan, Jane Horrocks and George McKay, Sunshine on Leith is based on the sensational stage hit of the same name, featuring music by pop-folk band The Proclaimers. The film follows the stories of Davy and Ally, who have to re-learn how to live life in Edinburgh after coming home from serving in Afghanistan. Scottish director David Mackenzie’s latest feature, Starred Up, is produced by Glasgow based Sigma Films and was filmed in Belfast. The prison drama stars Jack O'Connell, Rupert Friend and Ben Mendelsohn and tells the story of a troubled and explosively violent teenager who is transferred to adult prison where he finally meets his match - a man who also happens to be his father. Caroline Parkinson, Creative Director, Creative Scotland commented: “Congratulations to all those involved in the four films that are premiering at TIFF this year. TIFF offers Scotland’s filmmakers a recognised international platform for their work. The profile that can be achieved leads to new opportunities for them and all the talent involved. “Film is an international business and TIFF is an excellent event to maintain existing relationships, initiate new ones and spark off new projects and ideas. Scotland attracts between £20-25 million of location spend each year from production companies shooting on location all over the country. More than 80 production companies and 300 facilities companies are based in Scotland and an average of 22 feature films have been shot in whole or in part per year, in Scotland over the last decade. The 38th annual Toronto International Film Festival (TIFF) takes place from 5 – 15 September, 2013. The Festival draws attention to and raises the profile of films with the aim of contributing towards the development of cinema, boosting the film industry worldwide and celebrating cinema at an international level. TIFF offers screenings, lectures, discussions, festivals, workshops, industry support and the chance to meet filmmakers from Canada and around the world. Sunshine on Leith is based on the sensational stage hit of the same name, featuring music by pop-folk band The Proclaimers. The film follows the stories of Davy and Ally, who have to re-learn how to live life in Edinburgh after coming home from serving in Afghanistan. Both struggle to learn to live a life outside the army and to deal with the everyday struggles of family, jobs and relationships. Academy Award winners Colin Firth and Nicole Kidman star in the true story of Eric Lomax, a British soldier in World War II who endured gruelling conditions as a forced labourer on the Thailand "death railway" after being captured by Japanese troops.